Right now, you’re reading this on a screen — possibly your laptop, but more likely your smartphone or tablet. Furthermore, it’s very likely you perform your job, or at least a few job-related functions, from behind a screen and keyboard. When you go home after work, you likely relax by catching up with Facebook and popping one of your favorite shows onto the TV or spare computer monitor via Netflix or another streaming service. Maybe you decide to order dinner instead of cooking for a change — which you can do entirely online, without ever having to talk to another human being out loud. Heck, we even find our dating partners through our electronic devices nowadays. So it’s safe to say technology isn’t going anywhere. But what does the golden age of technological advances mean for your RV? What’s new when it comes to upgrades and modifications for your motorhome or travel trailer? As it turns out, there’s a whole lot of great new stuff on the horizon in the way of RV technology. 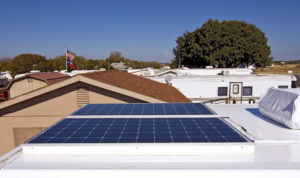 One of the biggest movements in RV industry trends is the push toward outfitting rigs with solar power, which can help offset the need to run an RV generator. Not only are generators noisy, but they also emit noxious fumes which can be harmful to the environment — and even dangerous to passengers, since they contain toxic carbon monoxide gas. 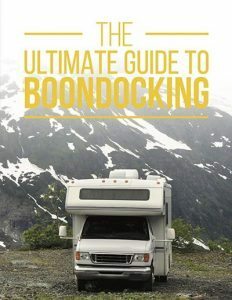 Furthermore, although solar panels are quite expensive to purchase in the first place, for those who boondock frequently, the panels pay for themselves quite readily in the cost you’ll save on replenishing your supply of liquid propane gas, which traditional RV generators need to run. Another important new development in RV technology is increased efficacy of RV internet access — which makes sense, since darn near every single part of our life is carried out on computers nowadays! RVs have long had a reputation for not allowing our devices the best access to data and WiFi signal. That’s because they’re constructed of materials that can scramble even the strongest connections. That means that the “free” WiFi promised at an RV park — or even the expensive data plan you purchased specifically for your trip — can actually leave you frustrated and unable to get online. But new signal boosters and hot spots can help counteract this problem, and technology has been steadily improving to help ensure you can stay connected, no matter where in the world you are. Since more and more of us are finding ways to work remotely, performing all of our jobs entirely online and independent of a location-specific office, this trend has been motivated by those who want to use their newfound freedom to travel extensively and constantly. 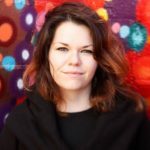 One great resource for campers hoping to go full-time in their rigs and use an internet connection to keep up with work can be found at Technomadia, where Chris and Cherie, who are both tech wizards in their own right, explain how they keep online during their full-time travels. Newer RV models are also being manufactured with other, smaller technological advances that bespeak our new mobile age. 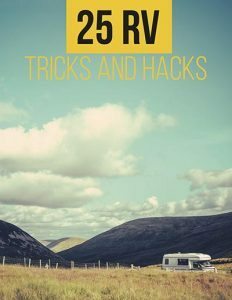 For instance, some 2017 and 2018 models of certain makes of RVs include USB charging ports built into the RV walls — just like regular electrical outlets. 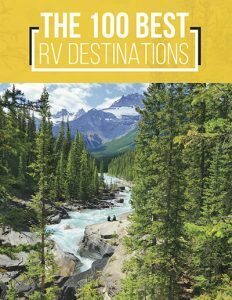 And it goes without saying that new RVs almost always come equipped with at least one TV, many of which are high-tech flat screen devices that offer HD picture quality. What is Helium Technology in an RV? If you’ve been looking into new RV technology, you may have heard a few people talking about helium. But don’t worry — we have yet to come up with a rig that’s powered by balloon! When you hear RVers talk about helium technology, they’re referring to a specific, patented process and design created by Keystone RV Company. According to their literature, this new process “utilizes new design and manufacturing technologies as well as new construction materials to significantly reduce the weight of the RV without sacrificing strength, cargo capacity or features.” It can apparently reduce the total weight of a rig by as much as 2,500 pounds. Reducing your RV’s total weight has more benefits than simply allowing you to tow with a smaller vehicle or fit more cargo on board. It also reduced the total wear and tear on your vehicle’s tires and axles, as well as providing increased fuel efficiency. In large vehicles that often get less than ten miles to the gallon, that’s a big deal! Those who are interested in upgrading their RV’s electrical systems with a tech solution may have heard of new battery advances for RVs — specifically high-end lithium battery setups. These capacious and long-lived batteries can help power your rig’s coach electronics, and are necessary if you’re hoping to set your rig up to run off solar power instead of a generator. After all, once the solar panels generate the energy, you still need to convert it into amperage before you can use it to actually turn on your gadgets. That’s where the battery system comes in! Lithium batteries offer a variety of benefits over their traditional lead-acid counterparts, including requiring less maintenance, offering a higher power capacity, a more efficient charge and discharge cycle, increased resistance to temperature swings, and — importantly — a much longer lifespan. They’re also lighter in weight, and although they can be more expensive at the outset, their improved functioning will mean you’ll have less upkeep costs to worry about. As we progress through the new millennium, RV tech upgrades are sure to become even more expansive and inventive. After all, it was only ten years ago that the first smart phone was introduced… and look where we are now! Technology has a way of exponentially increasing, so we can’t wait to see what a “normal” RV looks like in 2050.
Who knows? Maybe it’ll be self-driving… or even hover above the ground.